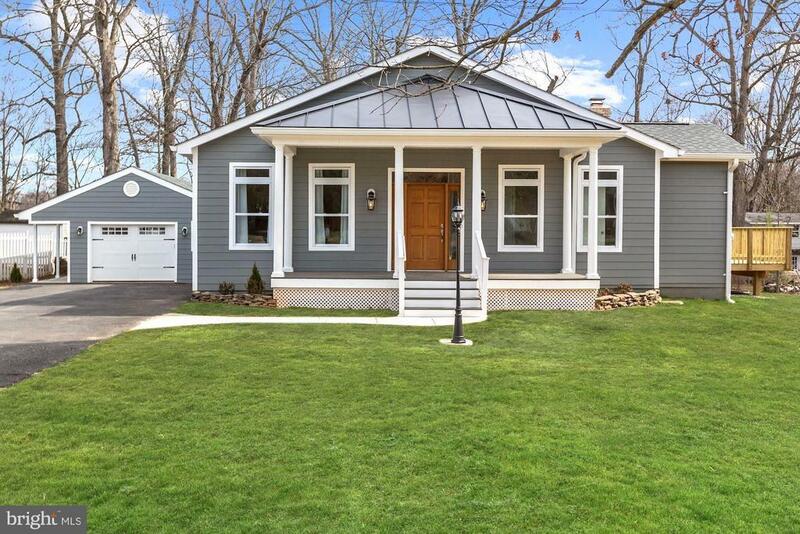 7803 Old Centreville Road, Manassas, VA.| MLS# VAPW433434 | Gregory Barnes | Nexttier Realty L.L.C. Gorgeous NEW SINGLE LEVEL HOME. New construction completed 2019. The spacious floor plan welcomes friends and family with gleaming Hardwoods, Gourmet Kitchen, Stainless appliances, Custom Range Hood, Granite counters & Vaulted ceiling. Enjoy sitting by the fire in your CUSTOM HOME Upgraded from top to bottom. Four Bedrooms all with private baths & walk in closets. Master Bedroom with HIS & HERS closets. Laundry room main level. WIFI control garage door & hot water heater. Cable/ internet outlets installed in Living room, Dining room, & all bedrooms. Large Entertainers Deck & 2nd private deck off Master Bedroom. Finished over-sized 2 car GARAGE. NO HOA. Close to shopping. Easy access commuter routes. THIS ONE HAS IT ALL !! !